In December 2013 we showed the new types of corner reliefs that were added with SOLIDWORKS 2014. At the time, we only explained how these reliefs worked. 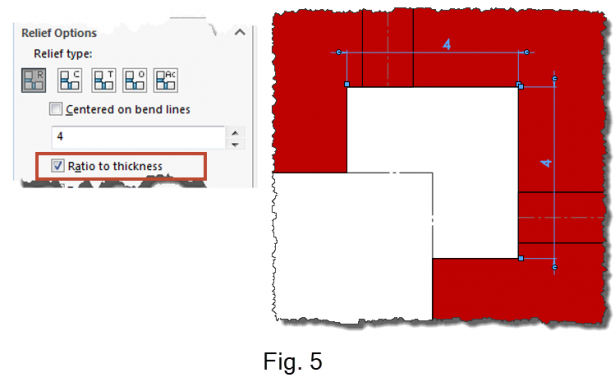 In this article we are going to explore how the feature is applied to the part to create the appropriate relief. We are also going to explain what the relief dimensions and some of the relief options means. For the circular and square reliefs their sizes are easy to figure out. 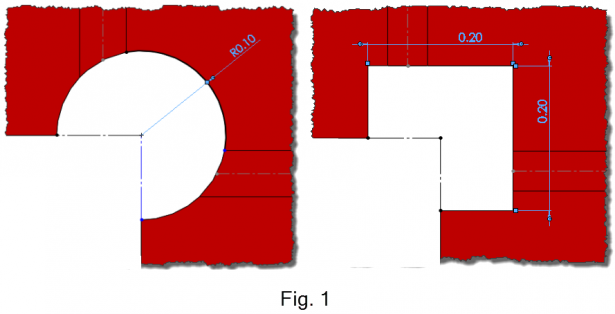 The circular relief dimension specify the radius of the relief and the square relief its side dimension. Fig. 1, shows also how the circular and square reliefs are applied when the “Centered on bend lines” is unchecked. 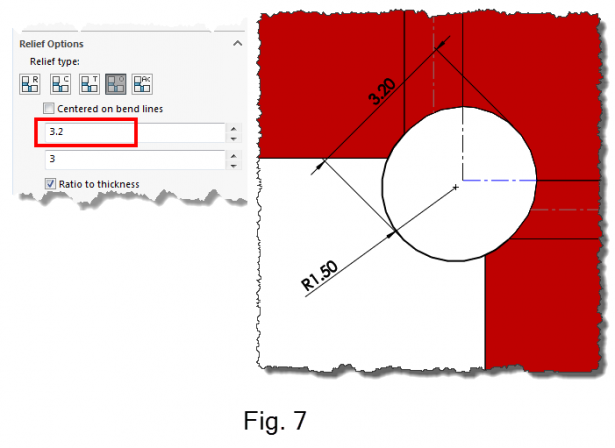 When the “Centered on bend lines” is not selected the outer edges of the flanges meet the center of the circular and square relief. 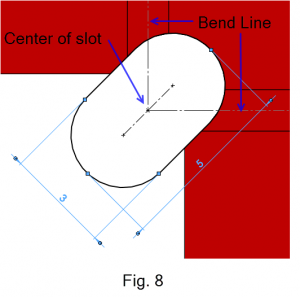 For the obround relief, the bend lines intersection meets at the center of the slot. For the obround relief the “Ratio to thickness” options works in a similar manner. 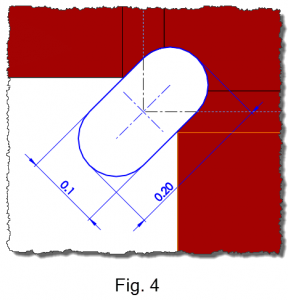 For a 3 width ratio, when the part is 1 mm in thickness, the width of the slot will be 3 mm. As Fig. 6 shows, when the “Ratio to thickness” is used in a obround relief, the width ratio has more influence on the shape of the relief than the length ratio. The “length” ratio (3.2) Fig. 7, only affects the relief within a narrow margin. At length ratio equal to 3.2 –this is the minimum possible length ratio , — the relief will look like more rounded. Fig. 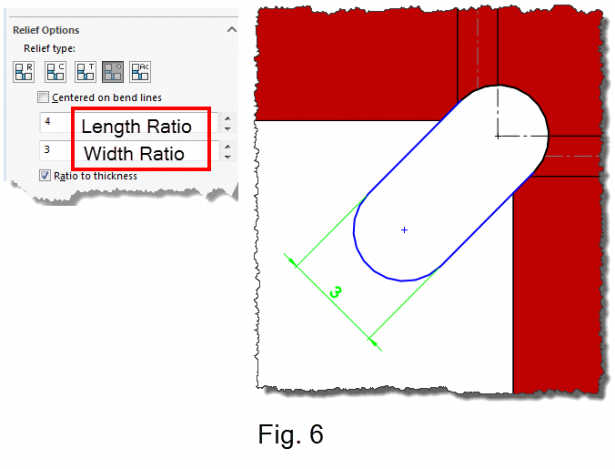 8 shows the obround relief with the “Centered on bend lines” and “Ratio to thickness” options. The bend lines intersection will be at the center of the slot. Sr. Technical Customer Support Engineer, SolidWorks, Americas. Mario Iocco is a veteran CAD user. He started as a Mechanical Engineer first working in 2D with AutoCAD, moving on to 3D using both SW and some of the other CAD software on the market. He began his career with SolidWorks over 15 years ago. He started in R&D working on many of the new functionalities developed at the time -eDrawings, Sheet Metal, Weldments, etc. In the last few years, he moved to TS., working closely with VARs, Mario wrote the sheet metal functionality best practice manual, as well as creating hundreds of Sheet Metal Knowledge Base articles. He has presented webinars on "Sheet Metal Tips and Tricks" and "Sheet Metal Bend Tables".